After the Bangladesh garment factory disaster, what can Irish shoppers do? THE HORRIFIC COLLAPSE of a garment factory in the Bangladeshi capital of Dhaka – which left more than eleven hundred people dead and over 2,500 injured – has focused the eyes of the world on health and safety in the garment industry in South-East Asia. 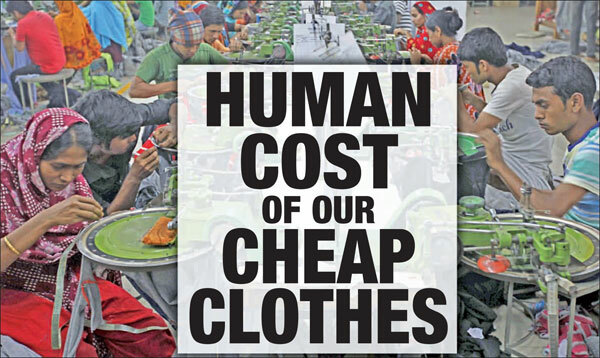 An Phoblacht’s MARK MOLONEY spoke to KATE NOLAN of the Clean Clothes Campaign (CCC) in Ireland about the plight of garment workers in the region and how the Rana Plaza disaster has put the spotlight on big brands exploiting cheap labour in Bangladesh. Most of those workers are producing thousands of items of clothing per day for retailers ranging from high street brands such as Tommy Hilfiger, H&M and Zara to Primark/Penneys. The garment industry is worth $19billion a year to the Bangladesh economy with 60% of clothes going to Europe. An estimated four million people, mainly women, work in the sector. Since 2010, the Irish state has imported €277million worth of garments from Bangladesh. The industry has became so important to Bangladesh’s rapidly growing economy that the Government insulated employers by union busting. In 2006, new labour laws allowed the state to demand information on trade union activists and people who are members of labour rights organisations. “It effectively disallowed labour unions for garment workers,” says Kate. 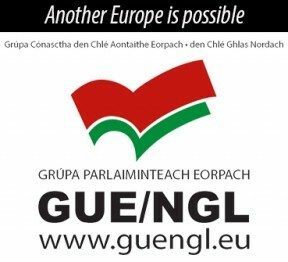 Human Rights Watch has described the situation for trade unions there as “pervasively hostile”. Just how dangerous it is to be seen engaging in workers’ rights campaigns in the country was highlighted on 4 April last year when the body of Bangladesh Garment and Industrial Workers’ Union leader Aminul Islam was found by the roadside in Ghatail. He had been abducted, tortured and left to bleed to death. The Bangladesh Government has recently eased restrictions on trade unions and labour laws. Kate says this isn’t out of goodwill but because the European Union has threatened to end the preferential trade agreement with the state unless conditions improve. In Pakistan, there are over 150 unions for garment and textile workers but only 10% of them are actually operational. “They’ve these dummy unions being set up which are run by officials and people who are not labour activists. They set up these unions to divide workers and ensure they can’t disrupt their operations,” Kate says. 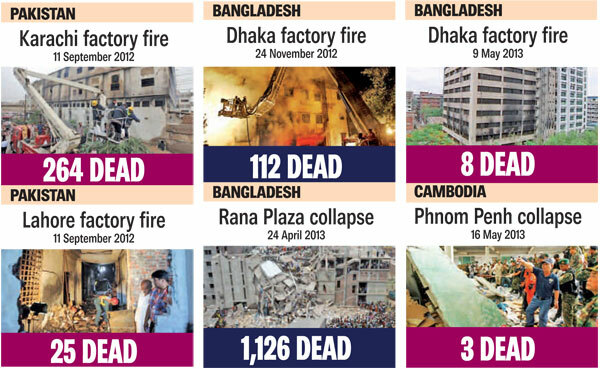 Since the disaster, 31 major retailers have pledged to look into their operations across 1,000 factories in Bangladesh. The pledge commits them to safeguarding the lives of up to 10,000 workers. “They said they’ll do this, now our job is to make sure they keep their word,” says Kate. “Educate themselves about what is going on in the industry and don’t stand for retailers trying to make you complicit in their own negligence. They should be operating to better standards.